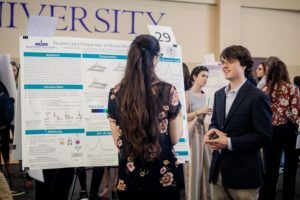 HIGH POINT, N.C., April 17, 2019 – More than 190 High Point University students from nearly 30 different academic pathways took part in the seventh annual HPU Research and Creativity Symposium (High-PURCS) on April 16, hosted by HPU’s Office of Undergraduate Research and Creative Works. 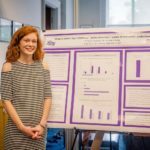 HPU students took part in a poster session during the seventh annual HPU Research and Creativity Symposium (High-PURCS) in Slane Center. 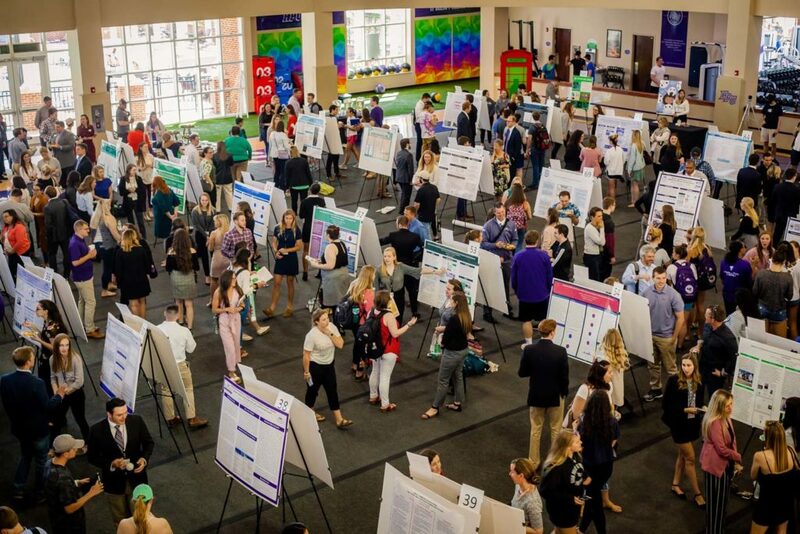 An HPU tradition, High-PURCS is an opportunity for students to showcase their work on campus for students, faculty, staff and the public to witness the students’ professional development and gain a glimpse of tomorrow’s future leaders, artists, scientists, teachers and scholars. Two research awards were given to students during the symposium. HPU student Emily Burke, an English literature major, won best digital oral presentation for “The Child’s Empire: Themes of Imperialism in Pre and Post-World War British Children’s Literature.” Burke’s research looked at how children’s literature serves to prepare children to fit into whatever role society has set out for them. Her focus was on British culture both before and after the World Wars. 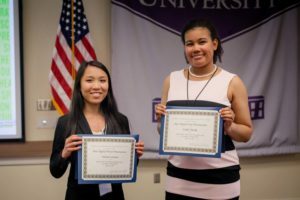 HPU student Mikaela Seemann (left), a chemistry major, won best digital poster presentation. HPU student Emily Burke, an English literature major (right), won best digital oral presentation. 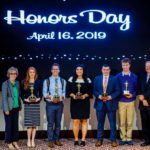 HPU student Mikaela Seemann, a chemistry major, won best digital poster presentation for “Identification of small molecules with antibiotic activity in M. smegmatis.” Seemann’s research involved investigating techniques to overcome antibiotic resistance in bacteria. 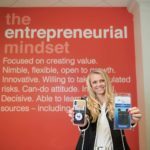 “Undergraduate research continues to inspire my passion for the sciences as well as my interest in a research career,” said Seemann.